I always wondered why aliyah just isn't on the "radar" for so many peopel and yet for others like myself it takes center stage. There are so many people in our "Dati Tzioni" community for whom making aliyah is just totally not something they would ever consider. We all went to the same or simmilar high schools. We all had the same education, so why is aliyah such a "splinter in the mind" for some. 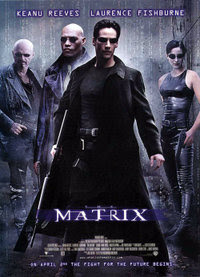 The more i though about it, the more i thought of the movie " The matrix".